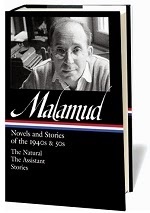 Special note: The centennial of Bernard Malamud’s birth is this month, on April 26. Save 10%, with free shipping! In 1961 Brooklyn native Bernard Malamud, after living and teaching for over a decade in Corvallis, Oregon, returned East to assume a new position at Bennington College, a progressive liberal arts school for women in Vermont. (Bennington did not begin admitting men until 1969.) The summer prior to moving his family to Vermont, Malamud conducted a writing workshop at Harvard for ten lucky students. Clark Blaise, a Canadian native who was a senior at a Denison University in Ohio and a fan of Malamud’s writing, applied for the course by mail and then hitchhiked to Harvard. Beyond the Harvard workshop and the move to Vermont, Malamud found the time to finish and publish a new short story, “Idiots First”—his first in over two years. Describing a dying man’s frantic attempt to insure security for his disabled son, it remains one of the most revered of Malamud stories. 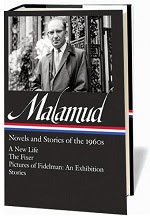 The story displays Malamud’s ability to be both a realist and a fantasist—“at his best the line between the two was obliterated,” writes New Republic critic Richard Gilman. The thick ticking of the tin clock stopped. Mendel, dozing in the dark, awoke in fright. . . . If you don't see the full selection below, click here (PDF) or click here (Google Docs) to read it—free!